Since early 2015, healthcare marketers have been grappling with new viewability standards set by the Media Rating Council (MRC). Through various roundtables, articles, and webinars, the healthcare advertising industry has been trying to keep pace with MRC standards. Stakeholders include healthcare publishers, advertisers, agencies, and viewability analytics providers. Although viewability may be a good place to start to analyze an advertising campaign, high viewability does not necessarily translate to high engagement with the ad. Therefore, other metrics must come into play to provide a more complete picture of how healthcare marketing campaigns are performing. This whitepaper provides benchmarks from 2015 on viewability and click-through rates (CTR) for display advertising, as well as benchmarks to strive for on healthcare websites. The data is broken down, where possible, for both healthcare profession and disease state. 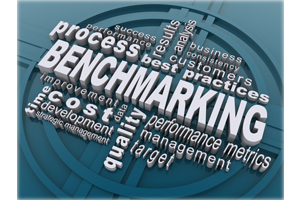 Other metrics such as mobile, desktop and non-human traffic (NHT) are also explored. 1. Trends show that mobile access is steadily increasing on healthcare websites. Therefore, mobile responsive sites, ad-serving, and creatives are a must. 2. Publishers should have a plan to produce new content on a consistent schedule. This content should be original and each web page should contain at least 750 words. 3. If quality content is being consistently added to a site and the website is not performing to on-site and viewability benchmarks, a site audit should be performed. 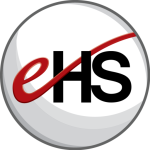 eHealthcare Solutions provides free audits to exclusive publishers within the eHS network. 4. If an HCP ad is not reaching at least 0.18% CTR or a consumer ad is not reaching at least 0.09% CTR, advertisers need to analyze the creatives for fatigue and placement.